You Hair'd Me At Jarr! Girl walks into a hair salon, asks receptionist for a stylist who can handle extremely wavy, thick, unruly hair. Salon introduces her to Jarr. One and a half hours later Jarr transforms girl’s extremely wavy, thick, unruly hair into smooth, straight, shining, stunning, fairy tale hair!!!! Girl falls in love with Jarr. Madly!! And vows never, ever, ever to leave him. 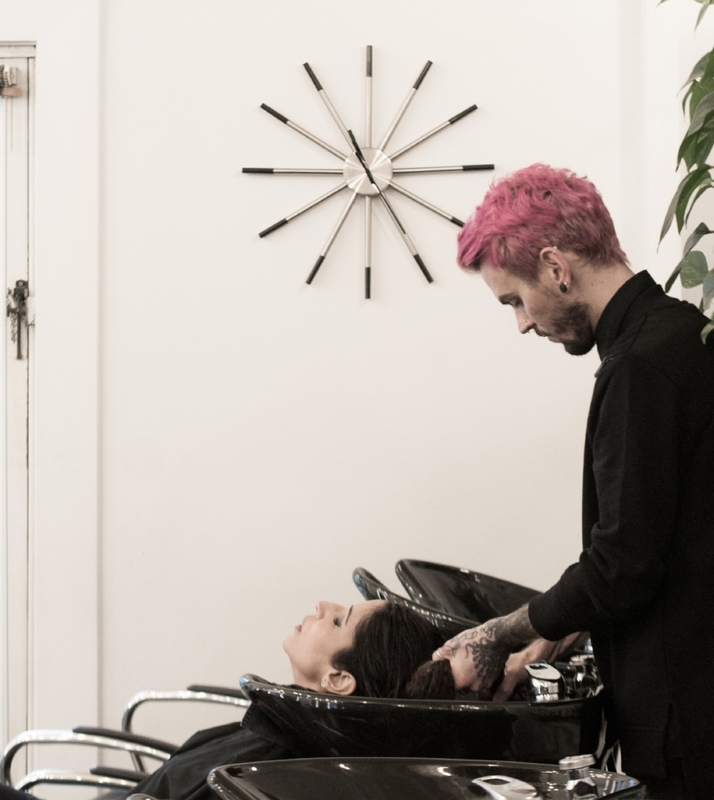 Fast forward fourteen years, seven hundred blow-outs (a blow-out a week keeps a bad mood away) and Jarr’s own salon (ORO Salon) their love story is going strong. Anyone close to me knows that I have two loves of my life – Nadir and Jarr, and no I’m not being facetious by any means! If you can’t already tell I’m a little (just a wee) bit obsessed with my hair. Okay, let me rephrase that & say that I will get into a bad mood very quickly if my hair is not the way I like it – smooth, straight & bouncy. 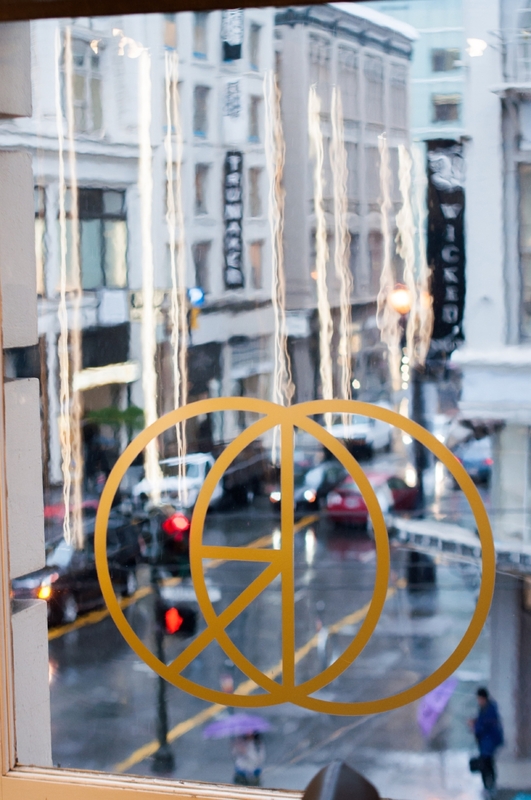 Hence, a visit to Jarr’s ORO Salon in downtown San Francisco is a weekly prerequisite, if everyone at home wants to be around a happy mom/wife. Of course, I’m sounding entitled, but remember I have never steered away from speaking my mind. So call me a brat (hmmm... hubby does sometimes say that) but I’m sticking with my weekly appointment even if I have to miss the gym! Although Jarr is significantly younger than me, he has over time become one of my closest friends. And, I believe he feels the same way about me, right Jarr? So, while the entitled and bratty me needs a hair fix every week and that it's accompanied by a two hour gossip/venting/therapy/sharing-notes-about-our travels/secret-sharing session,then it is certainly the icing on the cake. So many of you have been asking me about my hair secrets so I’m thrilled to finally share them with you on my blog. 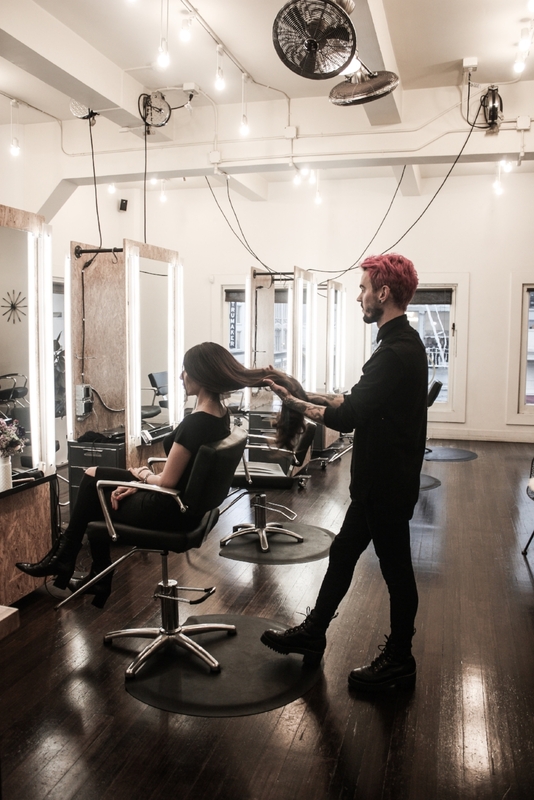 Secret #1: Well, Jarr and ORO Salon, of course! And I've tried every stylist there and honestly all of them are spectacular at their jobs! Secret #2: My mom, my aunt, both my sisters and now Lyali and both my nieces have very thick hair. When my sisters and I were growing up in Karachi (I’d say from the ages of 5 – 16) my mom used to apply Olive Oil on our hair on the weekends, let it sit for 4-5 hours and then we’d shampoo and condition it. I did the same for Lyali here when she was younger but def. not as religiously as Ami did with us back home. Honestly, I’m not sure if it’s just genetics or just the oil or a combination of the two that has fortunately produced or made our hair so healthy. BTW, on occasion she tried coconut oil too! Secret #4: I never sleep with my hair up. Again, this may just work for me but these are MY secrets hence I’m sharing them with you. I get the most excruciating headache if I tie my hair, especially in a high pony tail that I soooo love. So, I have to keep my hair down every night. In case you’re wondering if I’m exaggerating because you’ve seen pics of me at events in a pony tail here’s another secret. I eat two advils prior to the updo and two immediately post event. The weight of the pony is so significant that this is the only way I can swing a pony tail! I promise, I’m not being a show-off and this is absolutely correct and truthful information. Secret #5: I brush my hair … you guessed it … once a week. Other than these personal bits of info, below is a list of all the products plus descriptions that Jarr sent over to me so I could add them for your perusal. But before that here is the process in his words: "Shampoo and condition first, towel dry, then apply 3 pumps of oil since you have thick hair, fine hair would use less (think serum for the face) then the cream (think moisturizer) and then royal blowout section by section as I dry for thermal protection. I always use all three, on damp hair. Once finished drying I apply one pump of the oil to your ends for extra moisture and shine. All products that I use are Oribe, they are a luxury hair care line that treats hair similar to skin care approach, using the best ingredients, etc... Oribe (pronounced Or-Bay ; important because literally NO ONE says it correctly). 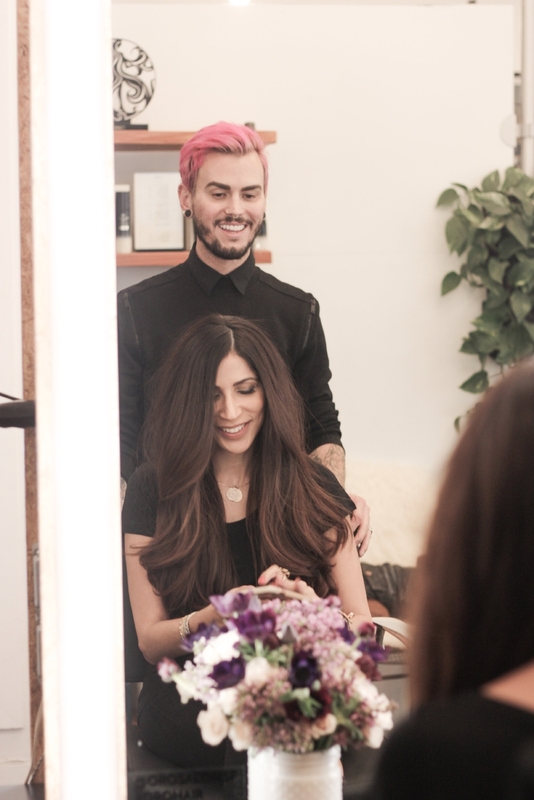 Oribe Canales is a real person who is famous for runway styling and editorial work". I"ve listed all the products after my thank you note. I hope you will send me any questions you have via comments and I'll be happy to answer them as best as I can! Gold Lust Shampoo-Reawaken your hair to its glossiest, healthiest prime. This rejuvenating cleanser combines centuries-old healing oils and extracts—cypress, argan and maracuja—with our revolutionary bio-restorative complex to balance the scalp and reinforce the inner strength of each strand. Gold Lust Masque-This truly modern remedy penetrates to rebuild each fiber with curative white tea, baobob and jasmine extracts and our bio-restorative complex, improving elasticity and fortifying hair to rediscover its softness, body and inner brilliance. Restore overworked hair to its prime with each dose. Gold Lust nourishing hair oil- This luxuriously light oil absorbs instantly to restore hair to its prime. Infused with a rich blend of jasmine, edelweiss flower, lychee, sandalwood, cassis, bergamot and argan extracts, each protective drop penetrates the hair to deeply condition, strengthen and smooth—imparting intense nourishment and incredible shine. Works wonders on dry, damaged and color-treated hair…Liquid gold. Supershine Moisture Cream-A luxe reinvention of leave-in conditioner, this supreme cream satisfies the thirstiest hair, calming frizz, elevating shine and restoring hair to supernatural softness. Especially loved by medium-to-thick and extra-long hair. Royal Blowout-For the ultimate blowout. This ultra-lightweight mist smoothes even the worst-behaved mop while speeding dry time. It also repairs split ends, nourishes, softens and strengthens the hair, giving it healthy body and shine. Will You Be(auty) My Valentine? Thank you! Please check your inbox for a confirmation email. Occasionally our emails are mistaken for spam. If you do not receive a confirmation email, please contact us at "sobia@shaikhenandstirred.com".